Seeing Acid Mothers Temple has become a bit of a yearly tradition for me, and it’s one worth keeping. No two shows by the legendary Japanese psych-rock band are alike, and this one at the Mercury Lounge on Friday night was extra-special due to the introduction of two as-yet-untitled songs from the band’s forthcoming album. The rest of the set was the usual dazzling display of the band’s improvisational talent, with this tour’s version of “Pink Lady Lemonade” jamming into “Om Riff” and back into “Pink Lady Lemonade” anchoring the middle of the set, plus a killer rendition of “Cometary Orbital Drive”. As with the Knitting Factory show I captured last year, the band ended this 90-minute set with “Chinese Flying Saucer”, sending the exhausted late-night crowd home happy. Until next year, enjoy this dose of Acid Mothers Temple! I recorded this set with Schoeps MK41 supercardiod microphones in our usual spot in the venue, plus a soundboard feed from a longtime Mercury house engineer. The sound is excellent. Enjoy! Thanks so much for taping, it was a great show, great night! 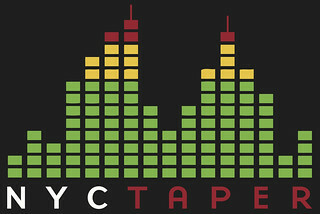 thanks very much for taping and sharing this one nyctaper! I got this off archive.org, but had to stop by to thank acidjack and all for another great capture, and find it’s your birthday. Congrats and thanks eternal! For my money you have one of the best music sites on the planet. I’m making a point of checking out everything I can of this tour as it makes its way toward the show I get to see in May. I love the way the material mutates as the tour goes along, and you have to enjoy building the suspense until you actually get to see them. This is a particularly serendipitous convergence of a great taper, who has recorded the band before and knows what to expect, in a good room, grabbing what sounds to me like the show of the tour so far. It has to be difficult to capture this band, and hats off to all who pull it off. This one benefits of having an especially (to my ears, anyway)inspired performance. Thanks for the kind words. The positive feedback really makes it all worthwhile. Great show, I agree. I can’t tell you how many times I’ve come back to this stream. Thanks so much for capturing this awesome show. The bass in the Pink Lady > Om Riff > Pink Lady never stops blowing my mind or lifting my spirits.